What you wear on your feet plays a major part in helping you get through your shift. And when your boots have the Carhartt name on them, you know they're built to be durable, comfortable and as hardworking as you are. 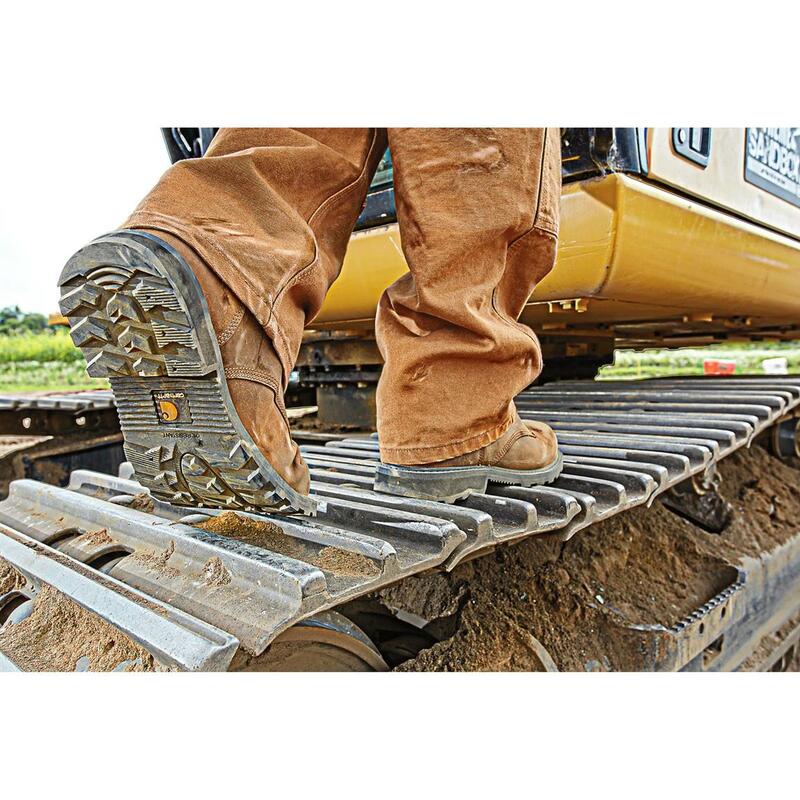 Step into these Work Boots and stay comfortable and protected, even in the face of overtime. 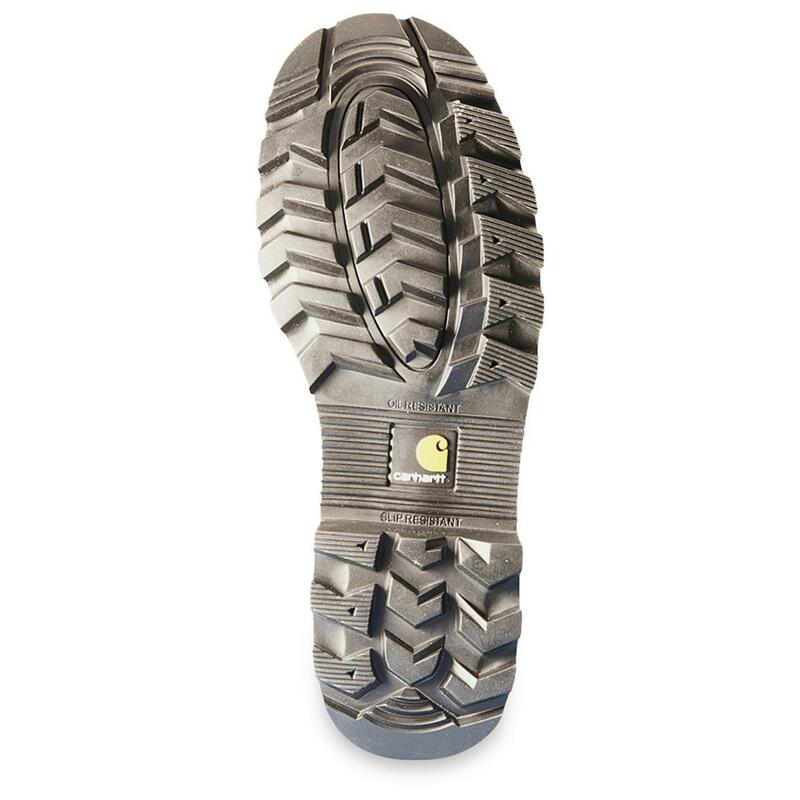 90° heel for climbing ladders, etc. 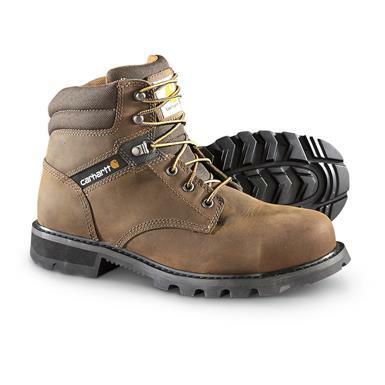 Carhartt Mens 6 Traditional Welt Work Boots is rated 4.7 out of 5 by 3. Rated 4 out of 5 by MRMAC51 from Nice Boot Nice boot. The appearance and the quality of the boot are great. Size is right ,one thing, that I think that is missing is that the foot pad inside seems a little thin for my liking. But that was remedied by some inserts that I already had. All in all, nice boot. Rated 5 out of 5 by Piper from Best Workboot Around Comfortable, Stylish, easily broken in and warm in the winter. Rated 5 out of 5 by Jack from Great price and great shipping ! I love the boot's the fit is right on !